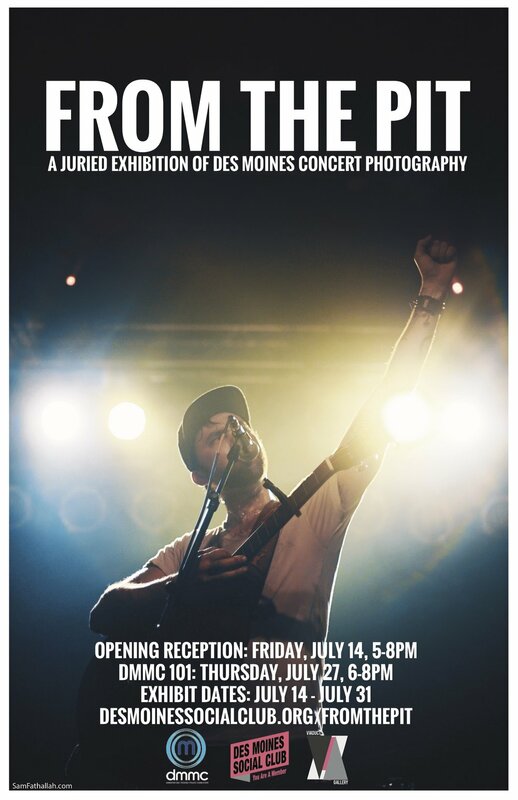 I'm so thrilled to be a part of the @desmoinesmc's and @dmsocialclub's show "From The Pit: a Juried Exhibition of Des Moines Concert Photography." I chose three different artists/bands from the Midwest to display. Any guesses on who? Opening reception is Friday 7/14 from 5-8pm at @viaductgallery and I'd love to see your faces there! Music is the heartbeat of Des Moines. From the skywalks to venue stages, our city is making noise about the incredible, homegrown talent resonating nationally and overseas. From the Pit: A Juried Exhibition of Des Moines Concert Photography highlights the explosion of innovation among local creatives and displays the thriving music scene that makes Des Moines so attractive to touring artists and young professionals. Des Moines is making waves – get in the pit and hear it for yourself!